Landmark: a very important event or achievement. 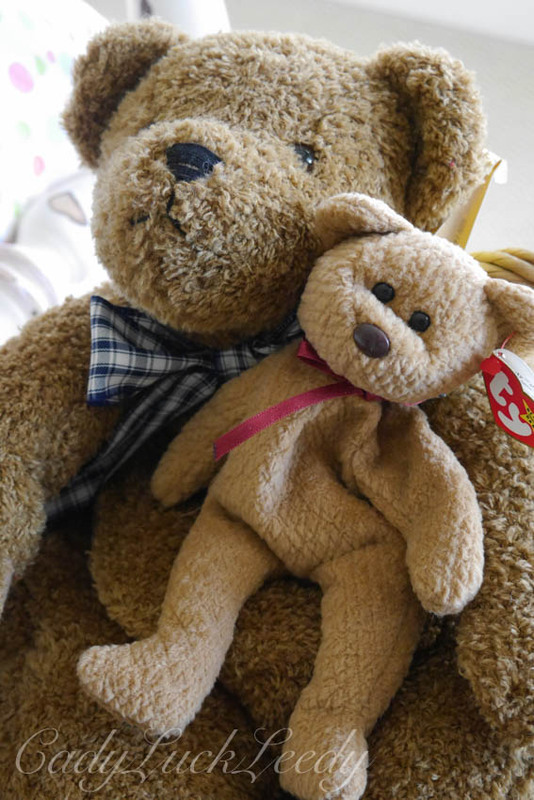 Have you ever wondered why teddy bears are left at memorials by grieving mourners? I have. I think we repeat gestures that we no longer know the meaning of or never knew the meaning of, we just follow tradition. It gives us comfort and is meant to give comfort to others. As many of you know, I have been studying a free online course with FutureLearn called WWI, Trauma and Memory. Although the war was very grim and the aftermath devastating for many men and their families, there have been enlightening moments as well. So, today on Veteran’s Day I am going to share a positive story. For many children I am sure it is a landmark event. This story is about Harry Colebourn, a veterinarian from Winnipeg, Canada. Harry Colebourn, enlisted in the Canadian Army as a surgical veterinarian and soon was shipped out to Valcartier, Quebec, the mobilization point for 35,000 volunteer troops. He was with the Fort Garry Horse, the 34th Regiment of Cavalry, and would be taking care of the horses, an amazing feat in itself. Along the way the train stopped for supplies, and Harry got off and noticed a chained small black bear near the tracks. A hunter, who had killed the cub’s mother was trying to sell it. Harry paid twenty dollars for the cub and got back on the train with it. He named his new best friend, Winnie, after his hometown, Winnipeg. 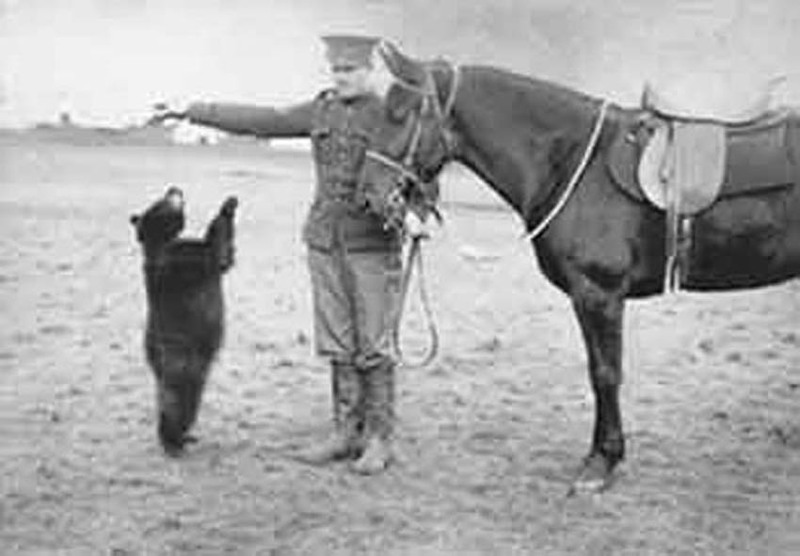 When Harry reached Valcartier, he trained Winnie, in his spare time, how to play and be gentle, with treats of condensed milk and lots and lots of apples. Winnie soon found she had many soldier friends to play with and she was made the mascot for the regiment. The men were very fond of Winnie and wrote to family and friends about her and sent pictures too. Before long the regiment shipped out (literally) to Salisbury Plains, Britain, where all of Britain and her colonies were trained for war. Winnie went with the men. When orders arrived for Harry to go to the front lines he knew this was not a place for Winnie to go and sadly left her at the London Zoo, on the condition he could return after the war and take her back to Canada. On his rest and recuperation from the madness of the war, Harry always went back to the zoo to visit Winnie, who was doing quite well. The keepers were amazed at Winnie’s gentleness, which they predicted could not last. But, it did and Winnie became a star with the children, who visited her at the zoo. She was so gentle, the children were allowed to touch her and feed her. One of the children enthralled with Winnie, was Christopher Robin Milne, the son of A. A. Milne. 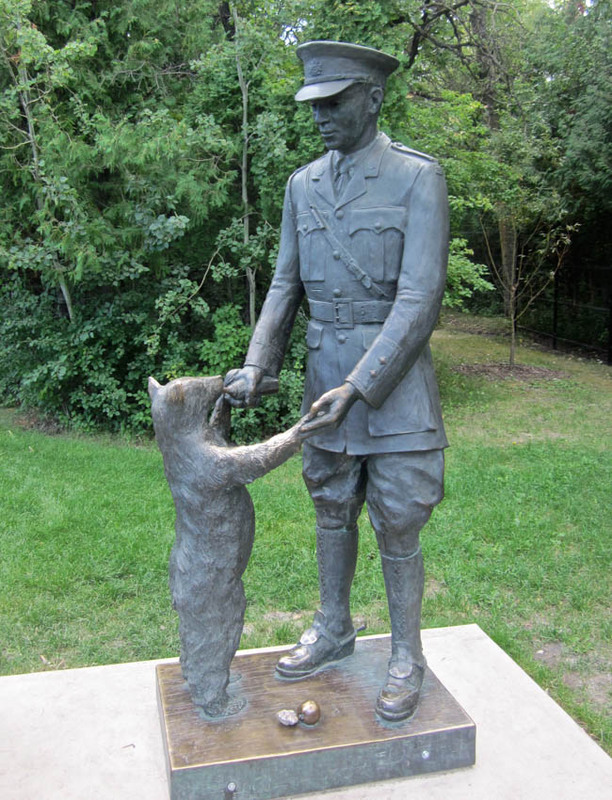 After the war Harry Colebourn, realizing the children adored Winnie and with Winnie thriving, decided it was best to leave her at the zoo and went back to Canada, where he practiced veterinarian medicine for the rest of his life. A. A. Milne, inspired by Winnie’s gentleness and comfort, went on to write the Winnie the Pooh books, so beloved by children and children at heart. 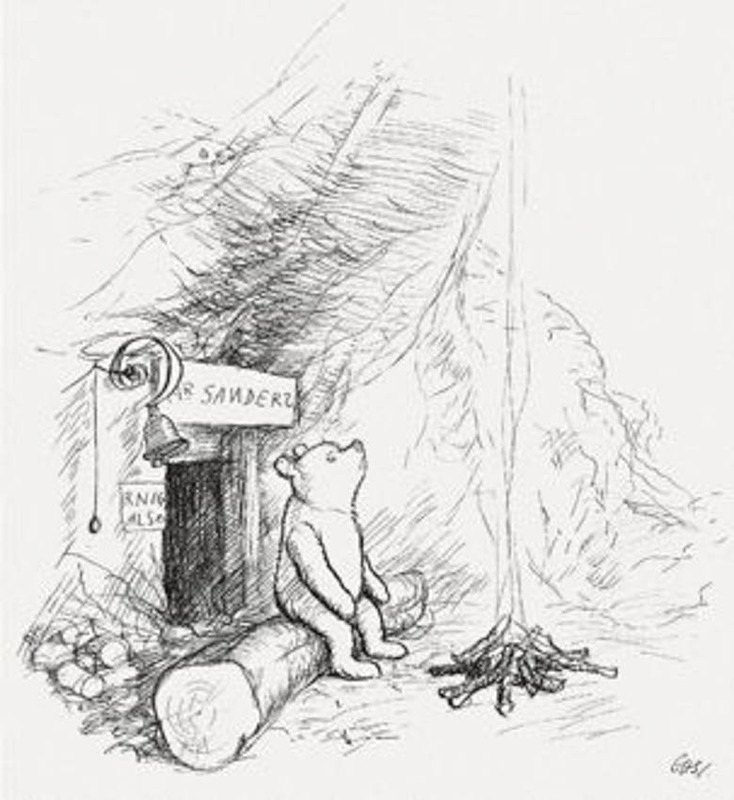 Pooh in an Illustration by E. H. Shepard. The first Winnie the Pooh story was published in the London newspaper The Evening News on December 24, 1925. It has been suggested this may be one of the reasons that teddy bears are left at memorials. Winnie brought so much comfort to soldiers during a trial of death, horror and despair and then went on to bring comfort and love to children all over the world. 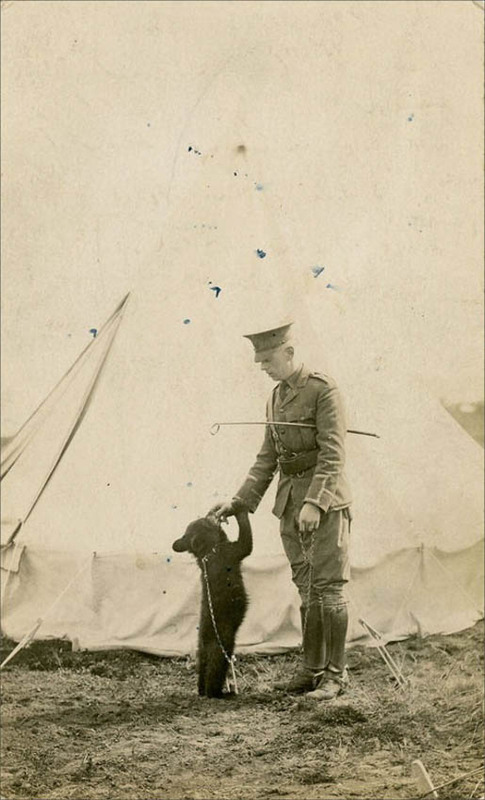 For the anniversary of WWI, Ryerson University has put together a collection by the Colebourn family titled, Remembering the Real Winnie: The World’s Most Famous Bear Turns 100. They have graciously shared the archives and collection online for those of us who can not travel to Toronto, Canada for the exhibit. It is a must see and will make your day! Enjoy! what a beautiful story, and to think she inspired the Winnie the Pooh stories, that is wonderful. I know I was quite surprised by it all! That is a lovely story to share today. I hadn’t heard it. I know, I was glad to read about one bright spot from WWI! I had half heard this story – but the whole one is so very interesting. 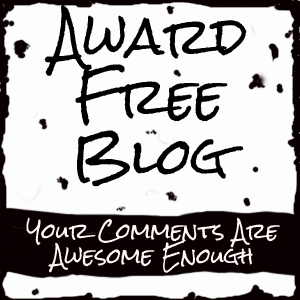 Thanks for sharing, and a great interpretation of the theme. I tend to think way outside the box at times! I loved this story and the exhibit at Ryerson University, I noted, was very well done. Harry Colebourn’s great-grandaughter was one of the students there who put the exhibit together. Very well done!